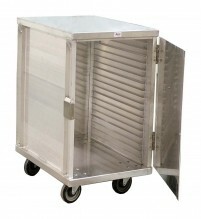 Opt for an enclosed cabinet to hygienically transport or hold items. 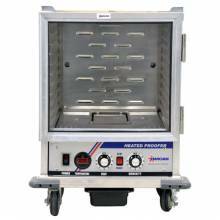 A must-have appliance for a restaurant, commercial kitchen, bakery, grocery store, or school cafeteria. Delay dehydration and keep your food organized, while transporting in a 20, 32, or 40 tier enclosed cabinet. Optimize the space efficiently with Zanduco’s large selection of Bun Pans.